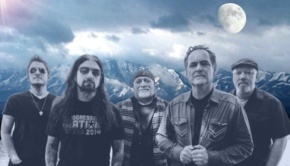 We are now finally in the new year of 2019, and preparing to go on another journey with Neal Morse and his band as they release The Great Adventure on 25th January. 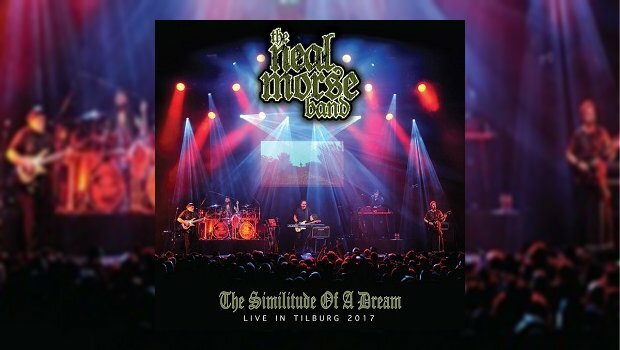 But first lets revisit The Similitude of a Dream recorded live at the 013 in Tilburg, The Netherlands, on 2nd April 2017. This 2CD and 2DVD set takes you to the arena to witness the band performing the album in its entirety, showing that Neal has come a long way from his work with Transatlantic, Spock’s Beard, and as a solo artist. And then they kick into overdrive with The Overture, Neal shouting “Hello Tilburg!” with the band in full swing. 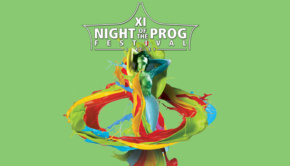 With double bass drum kicks from Mike Portnoy, Eric Gillette’s riffs and guitar rhythms, Bill Hubauer sharing a duelling melody on the keyboards, and Randy George’s thumping bass, the audience embark on a spiritual journey with them. The odd time changes and those stop-and-go moments keep up the pace, Neal acting like a conductor to direct the band where he wants them to go next. Neal plays his 12-string acoustic guitar on The Dream while Portnoy uses his shaker and Hubauer creates Mellotron-esque sounds on his keyboards. There is audience participation in City of Destruction, clapping along to the rhythm of martial beats as Neal helps them to sing the lines, “You gotta get out of the City of Destruction, Don’t wait another day, You’ve gotta get out of the City of Destruction, There is no other way!”, Morse and Gillette sharing the snarling guitar structures between the rhythm and lead sections. Eric really gives you insights into the dangers of corruption, greed, and betrayal, as detailed in the subject matter. What I love about this DVD is that Morse portrays some of the characterisations, akin to Peter Gabriel’s tenure with Genesis in the early ’70s. During the pounding beats of Makes No Sense he wears steampunk sunglasses as he gives Eric a chance to shine with his vocals, and a little help from Bill. Neal ensures that they are not just band members but a band of brothers, working together and taking turns before going into symphonic structures like Genesis’ Selling England by the Pound meets Premiata Forneria Marconi’s Storia Di Un Minuto. Mike takes over vocal duties on Draw the Line and asks “How we doing Tilburg? !” The audience respond warmly. The duelling metallic riffs of Eric and Randy support vocals from Portnoy and Morse that are delivered as if they were in character, having a disagreement on whether the journey is really worth it or was it all just for nothing. The audience claps along once more on The Slough, Neal channelling a ‘70s Italian Progressive Rock sound while Eric adds Iron Maiden-esque arpeggiated guitar structures that nearly bring the house down. Back to the City is Neal Morse’s homage to Visions-era Haken, while Bill returns to his vocal arrangements on The Ways of a Fool, honouring the styles of Beardfish’s +4626 Comfortzone and Electric Light Orchestra’s Out of the Blue with Beatles-like psych-pop-metallic-proggy vibration as Portnoy gives Bill the thumbs up. Watching this moment between the two of them, it’s clear they’ve got each other’s back. Then, the audience claps along as the vocals move to the baroque-pop style of The Beach Boys, before Bill’s Organ, along with Neal’s, heads into more of the territories of Premiata Forneria Marconi. So Far Gone is the Neal Morse Band’s nod to The Scorpions Rock You Like a Hurricane, becoming a tidal wave of guitars, drums, and synths before it slows down with Neal singing to the audience that the journey itself is making more sense now. Slave To Your Mind gives Bill another chance to add an organ fanfare as Eric’s metallic guitar chuggs, Eric and Randy then going into a melody riff like no other. Mike is swinging on the drums while Neal’s Mellotron reveals a kind of betrayal on what has happened, showing the audience that the character is his own worst enemy. The Man in the Iron Cage is Led Zeppelin meets Lenny Kravitz’s Circus with a booming vocalisation that will take you below the surface, inside the dungeons to meet the man now doomed with no chance to survive or get out alive. They bring the house down once more, Eric pouring his heart out through his vocals. Before they go into Freedom Song, Mike thanks the audience and talks about his and Neal’s memories of Tilburg from their time at the 013 with Transatlantic, Flying Colors, Testimony, and Spock’s Beard, showing that the audience are like a family to them. The band take a break from their electric instruments to play Freedom Song acoustic. It’s a cross between The Beatles’ We Can Work It Out, Peter Gabriel’s Solsbury Hill, and Queen’s ’39, the band and crowd singing along and going for the downbeat. Neal uses the whole stage during I’m Running, lifting the crowd’s spirit as he punches the buttons to go into space with his Fender Stratocaster and Randy’s bass work, shredding into a killer solo as the music becomes an intensive confrontation in The Mask and The Battle. 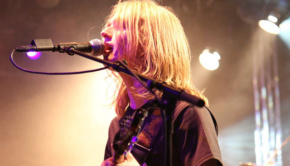 With an electronic ‘swoosh’, it goes into a marching pummel, Neal bringing the theatrics of Alice Cooper, David Bowie, and Peter Gabriel, with the lyrical structures of Peter Hammill. Neal instructs Eric Gillette to go full throttle before reprising sections of City of Destruction. Broken Sky / Long Day (Reprise) closes the show as the lights suddenly change with a rapid pace. More of those odd time changes comes in like a bowling ball hitting the pins at full ramming speed. The energy is there and it goes out with a bang between the forces of good and evil, the band giving it all they have as the audience cheers them on to keep going. Neal returns to the stage like Gandalf the White from The Lord of the Rings, the band completing the mournful finale of Long Day, and with more help from Bill’s keyboards, it’s like a warm thank you to the crowd for being part of this incredible, exciting, but dangerous journey through The Similitude of a Dream from start to finish. They return for a four song encore taken from The Grand Experiment, One, and Momentum. You have the flying, soaring takes of Momentum‘s title track and Agenda before Neal gets the audience to participate by closing the show with The Call which features vocals in the style of the introduction of Seven Bridges Road by The Eagles before diving intos some incredible guitar and organ work. 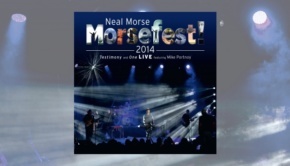 When I was listening to the CDs and watching the DVDs of this performance it struck me that The Neal Morse Band are not just a band but more like a family, and this was a night that they and the audience will never forget. I hope they return to Tilburg to record the shows for The Great Adventure.